Historic conference brings together scholars and artists from 7 countries and 45 universities, March 28-30, 2019. “Forty Years & More: International Conference on Iranian Diaspora Studies" will convene scholars, filmmakers, artists, and researchers from around the globe. “Forty Years & More" offers a forum for new research and dynamic conversations around themes of identity, racism, and assimilation among those who live, work and contribute to diaspora communities around the globe. On the heels of the 40th anniversary of the 1979 Iranian Revolution, scholars, artists, and researchers will gather at San Francisco State University to examine the rich, multi-faceted, and, often complex, global Iranian diaspora experience. In an era of heightened anti-immigrant, anti-Muslim sentiment, “Forty Years & More: International Conference on Iranian Diaspora Studies,” March 28-30, 2019, offers a forum for new research and dynamic conversations around themes of identity, racism, and assimilation among those who live, work and contribute to diaspora communities around the globe. Details about the conference, which is flanked by two art exhibitions featuring work by Iranian-American artists, can be found at: cids.sfsu.edu/conference. 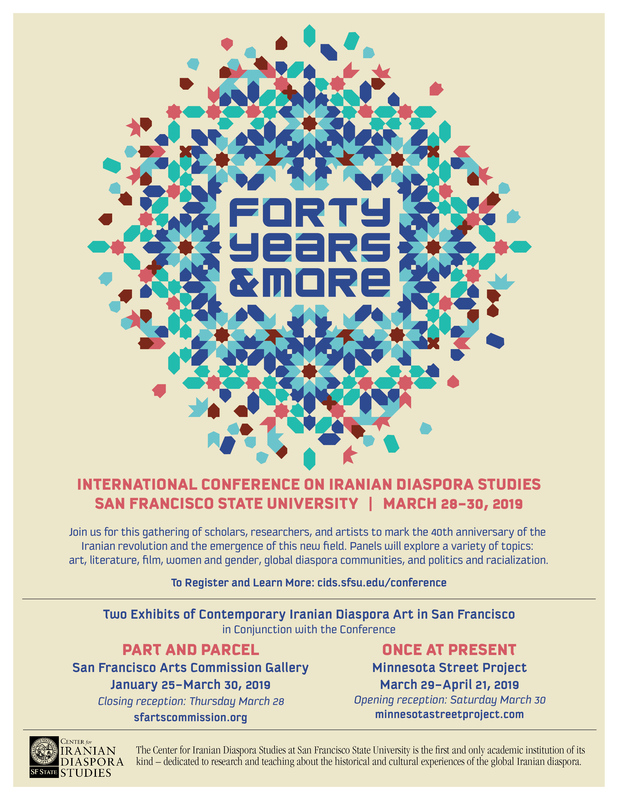 The “40 Years & More” conference, hosted by San Francisco State University’s Center for Iranian Diaspora Studies, will feature presentations from some of the world’s foremost scholars about what the past 40 years have meant for transnational Iranians and the impact of the diaspora experience on future generations. 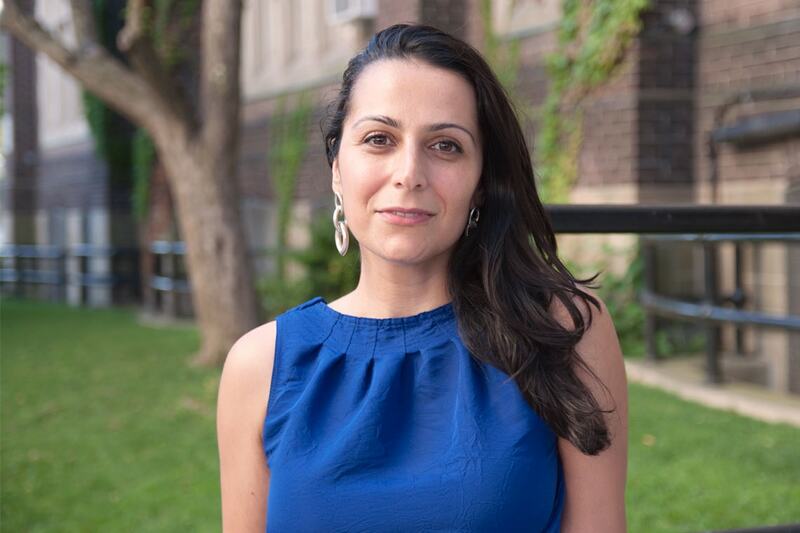 Two conference keynote speakers; Dr. Neda Maghbouleh, Assistant Professor of Sociology at the University of Toronto, and Dr. Camron Amin, Professor of History at the University of Michigan and President of the Association for Iranian Studies, affirm how their diaspora experiences have informed their identities. In The Limits of Whiteness: Iranian Americans and the Everyday Politics of Race, Maghbouleh offers a timely look at how Iranians and other Americans of Middle Eastern heritage move across the color line, examining the ways in which they fit and do not fit in the conventional racial and ethnic categories in the United States. Her findings are essential for understanding the unprecedented challenges that Iranians, Arabs, and Muslims now face under "extreme vetting" and potential reclassification out of the "white" box, particularly since 9/11 and the election of Donald Trump. 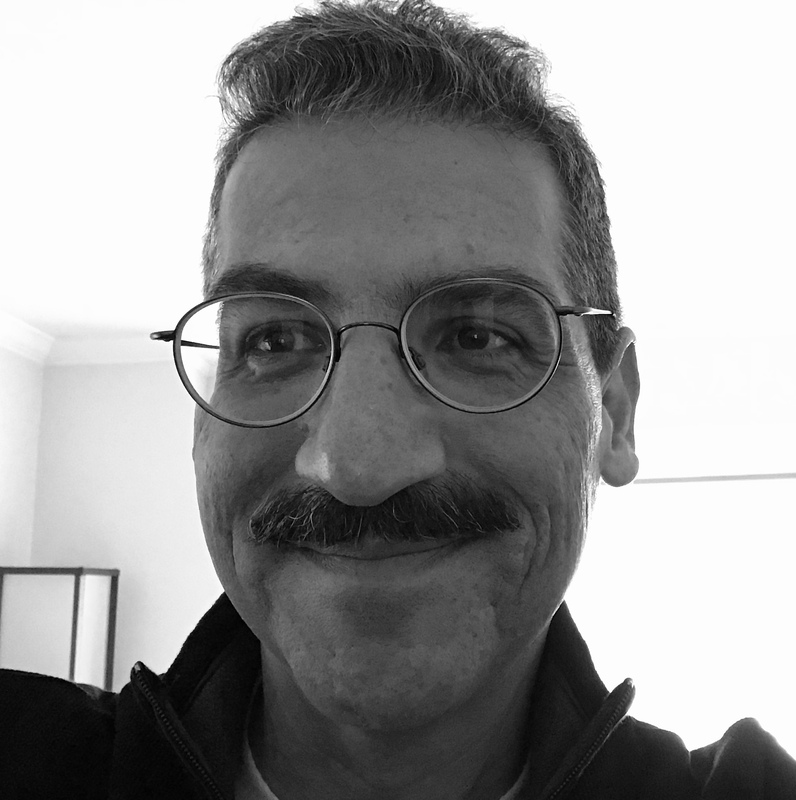 Maghbouleh’s groundbreaking work on race resonates with many Iranian Americans, not only validating the experiences of first and second-generation Iranians who have struggled with racial and ethnic identity, but also provides a. much-needed vernacular to help articulate the complex concept of assimilation. Similarly, Dr. Camron Amin, another speaker at the conference, also draws on the past to inform the lives of present day Iranian-Americans. The son of an Iranian father and American mother who met in college in the U.S., Amin is the creator of the Michigan Iranian-American Oral History Project (MIAOHP) that aims to “digitally document the stories of Iranian Americans with ties to Michigan and highlight their everyday lives.” Amin interviewed his own father, Dr. Mohammad Amin, for the project; the elder Amin was a civil engineering professor at Sharif University and, later, chancellor of what is today know as the Isfahan Institute of Technology. The younger Amin grew up living between Iran and the US, and eventually found himself studying Iranian history in an effort to make sense of the present. These two speakers will offer two important contributions to the emerging field of Iranian diaspora studies, a field that has grown exponentially in the past decade and one that increasingly tells the story not just of Iran’s recent history, but also the story of a complex, global diaspora. The Center for Iranian Diaspora Studies was founded in 2016 by Bay Area philanthropist Neda Nobari, and SFSU alumna, who was among the millions of Iranians displaced by the revolution. The Center draws on San Francisco State’s strong foundation of studying ethnic, racial and social justice issues in the arts, humanities and social sciences. The Center also creates opportunities for collaboration and exchange around the Iranian diaspora, by supporting and disseminating new scholarship,and showcasing the diverse and unique cultures of Iranian diaspora communities in the Bay Area, California and globally.